© 2001 Kevin Mayhew, Ltd.
His activity also includes his constant care for all he has created. “…He watches over us with fatherly care, sustaining all creatures under his lordship” (Belgic Confession, Article 13). Additionally, God reveals himself by this “creation, preservation and government of the universe, since that universe is before our eyes like a beautiful book...” (Belgic Confession, Article 2). We also believe that God’s mighty acts are revealed “in the unfolding of covenant history…witnessing to the news that Our World Belongs to God and he loves it deeply” (Our World Belongs to God, paragraph 33). Primary among these actions in the unfolding of covenant history is “the long road of redemption to reclaim the lost as his people and the world as his kingdom” (paragraph 18). As God’s people observe his work in their lives and in history they respond with praise and adoration. how your Spirit breathed life into every living creature. all offered through Jesus Christ, our Lord. Amen. we praise you for this world. in a great harmonious design. and of humankind, the crown of your creation. and give to us to care for and enjoy. Amen. your call to worship unites all creation in song. for you alone are worthy; you alone are Lord. Amen. In 1921 Gustav Holst extracted his THAXTED music from the “Jupiter” movement of his astrological orchestral suite, The Planets, Op. 32; it has been associated as a glorious ABA hymn tune with this and other texts. Martin Leckebusch (b. Leicester, England, 1962) was educated at Oriel College before going on to study Mathematics at Oxford and Numerical Analysis at Brunel University. He and his wife, Jane, have four daughters; their second child, a son, died in 1995. The family live in Gloucester and belong to a Baptist church. 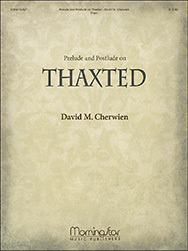 Martin’s work in hymnody over the past twenty-five years has resulted in almost 400 hymn texts, of which around half have so far been published by Kevin Mayhew. 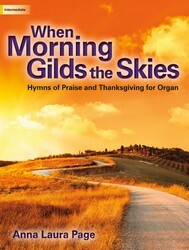 These include the ever-popular More than Words and Songs of God’s People—books which have cemented his status as a talented and accomplished hymn writer. Martin is keen to see the church equipped for Christian living, and believes that well-crafted and wisely-used contemporary hymns and songs have a vital role to play in that process.